Two benefits of sedation dentistry include less pain and less wasted time. Sedation dentistry helps the patient feel nothing except a calm sense of peace during a procedure. All pain is gone, and there is nothing to fear. Because the patient is able to sit for longer, they won’t have to come back repeatedly for more visits, saving them all that wasted time. And finally, the patients often report that the time they spent in the chair felt like no time at all, so you will not have to sit through another boring dentist visit. Two more benefits of sedation dentistry include the fact that it can help you relax and move away form your dental anxiety, and the fact that is priced very affordably. 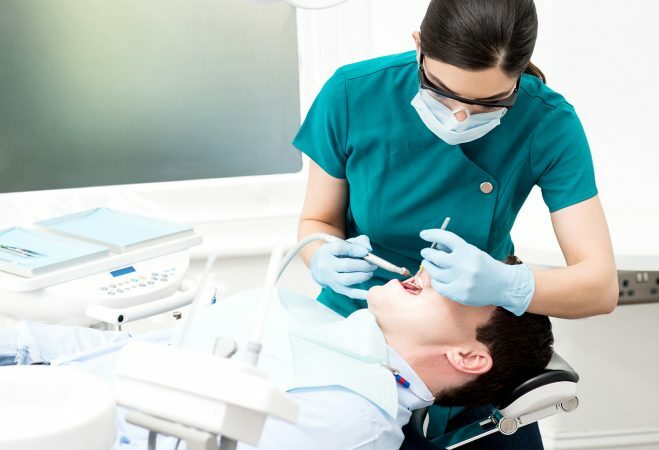 If you have dental fear, fear of needles, or even ADHD that does not allow you to sit for a long period of time, the sedation can make you feel much more at ease. Sedation dentistry is very affordable, even for those patients without insurance, so everyone can enjoy the benefits of this procedure. If you want to understand the benefits of sedation dentistry even more, you can contact us at Corbet Locke, DDS for a consultation. We will walk you through the process in depth so you feel safe and ready to have your teeth worked on at any time. You can call us at 254-776-4888, or contact us on our contact page.